Note: This article is not written by me. This article was found on the Citizens Commission on Human Rights in Florida. The purpose of this repost is to preserve the data in the event it is removed from its original source. To view the original article, click here. Before the late nineteen eighties, mass shootings and acts of senseless violence were relatively unheard of. Prozac, the most well known SSRI (selective serotonin reuptake inhibitor) antidepressant, was not yet on the market. When Prozac did arrive, it was marketed as a panacea for depression which resulted in huge profits for its manufacturer Eli Lilly. Of course other drug companies had to create their own cash cow and followed suit by marketing their own SSRI antidepressants. Subsequently, mass shootings and other violent incidents started to be reported. More often than not, the common denominator was that the shooters were on an antidepressant, or withdrawing from one. This is not about an isolated incident or two but numerous shootings. The question is, during the past twenty years is the use of antidepressants here a coincidence or a causation? There have been too many mass shootings for it just to be a coincidence. Eric Harris and Dylan Klebold killed twelve students and a teacher at Columbine High School. Eric was on Luvox, an antidepressant. The Virginia Tech shooter killed thirty-two people and he was on an antidepressant. While withdrawing from Prozac, Kip Kinkel murdered his mother and stepmother. He then shot twenty-two classmates and killed two. Jason Hoffman wounded five at his high school while he was on Effexor, also an antidepressant. James Holmes opened fire in a Colorado movie theater this past summer and killed twelve people and wounded fifty-eight. He was under the care of a psychiatrist but no information has been released as to what drug he must have been on. Psychiatrists generally will tell you that these people were mentally ill and they weren’t treated in time or didn’t get enough help to prevent the tragedy. However, Dr. Peter Breggin, who is a psychiatrist, stated that depression rarely leads to violence and that it’s only since the SSRI’s came on the market that such mass shootings have taken place. In a study of thirty-one drugs that are disproportionately linked to reports of violence toward others, five of the top ten are antidepressants. These are Prozac, Paxil, Luvox, Effexor and Pristiq. Two other drugs that are for treating ADHD are also in the top ten which means these are being given to children who could then become violent. One could conclude from this study alone that antidepressants cause both suicidal thoughts and violent behavior. This is a prescription for mass shootings. No one can talk their way out of explaining how a person who is previously non-violent and given antidepressants suddenly becomes violent or suicidal. There are multiple cases of children who have committed suicide days after starting to take an antidepressant. In a YouTube video, various parents tell their story about what the antidepressants did to their kids. A parent retells how his child couldn’t stand how the drugs made him feel and so he committed suicide. Another parent is stuck with the image of his child running in front of a moving car because the child wanted to die. Imagine calling 911 because your child is trying to kill herself when you know your child was not like that before taking the antidepressant. 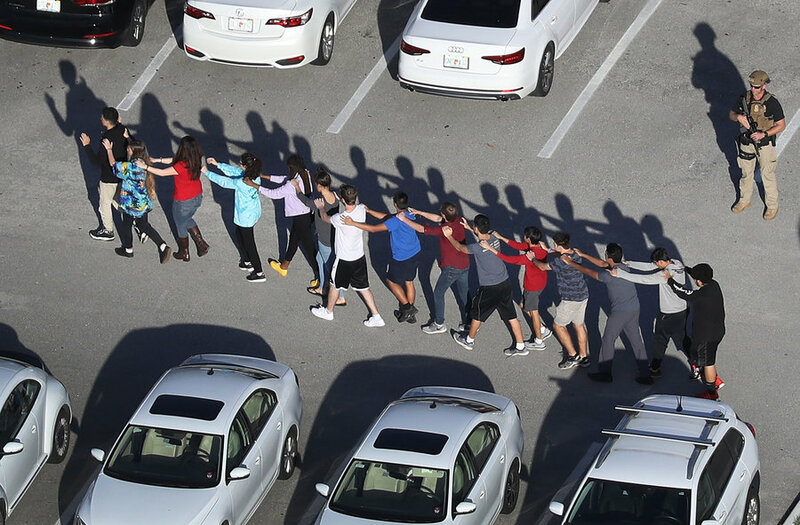 Imagine what you would feel like upon finding out that your child is the shooter in a murderous rampage on the school campus. While on a mix of antidepressants, sixteen year old Cory Baadsgaard took a rifle to school and held twenty-three students hostage. His father said he was not a violent kid before he took the drugs but while on the medication he was volatile and susceptible to blind rage. Cory does not remember anything other than waking up, not feeling so well and going back to bed. The next thing he remembered was being in juvenile detention. Luckily no one was hurt, but it could have become another mass shooting. A Harvard psychiatrist closely monitors his patients as he has seen firsthand that those that were not suicidal before became agitated, restless and completely preoccupied with suicidal thoughts. When these patients were taken off the drug, the thoughts went away. Clearly this demonstrates it’s the drugs causing these violent feelings, not the mental health of the patient. They claim that these drugs are safe and effective but obviously they aren’t. Doctors themselves may not be aware of the dangers of these drugs, but their patients are the ones who will suffer the consequences if they are not told of the potentially lethal side effects. Doctors should at the very least go over the FDA Black Box warning which is on all antidepressants. This warning states that there is an increased risk of suicidal thoughts and behavior by taking the drug. Otherwise, doctors are pretty much pulling the trigger themselves so-to-speak. The worst part is we are all being misled with false information in regards to “mental illness.” Given the fact that there is not a single diagnostic test for depression or any other “mental disorder,” how can one even attempt to diagnose a “mental disorder” without a shred of scientific evidence to back it up? Opinions about symptoms are not science! There is the “chemical brain imbalance” theory, but where is the science to prove it exists? The point is you can’t prescribe an antidepressant or any other psychiatric drug when you don’t know the cause of the symptoms. Nothing ever gets treated, helped or fixed without a cause. Instead, mind-altering drugs are being given to our future generation for no sensible or logical reason other than profits for pharmaceutical companies. The only result is dead bodies from mass shootings and that is truly senseless.